The rise of digital media is significantly changing how we teach and learn about history. Take a look at Twitter during an international crisis, and you'll see we now have instant access to a diversity of firsthand accounts as history is made. And with the click of a mouse, we can browse digital archives with text, images, audio, video, and other media that have been socked away in attics, art museums, and library basements for decades -- even centuries. Mobile technology, social media, and digital-archiving capabilities help bring to light perspectives and experiences that have been ignored, overlooked, or unknown by previous generations. 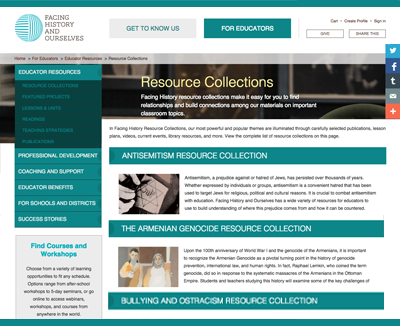 And firsthand accounts, along with the intimacy of multimedia, help students make personal, relevant connections to history. Facing History and Ourselves is a rich source of material for exploring the Holocaust and other instances of mass violence throughout history. Powerful lessons and units help students and teachers grapple with controversial issues and the complex nature of human behavior. 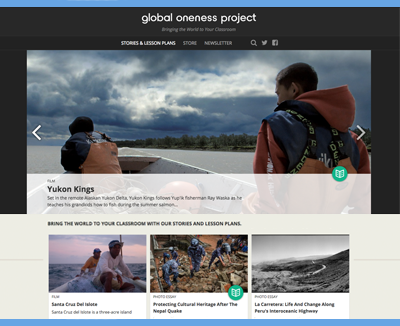 Short videos, photo essays, and articles give students a window onto diverse life experiences around the world. From a Yup'ik man in Alaska teaching his grandson to fish to Mongolian nomads struggling to preserve their way of life, these valuable stories situate day-to-day events within a larger, historical context. Many interviews in this enormous oral history project focus on witnesses to historical events, which can help students understand history as a lived, intimate experience. 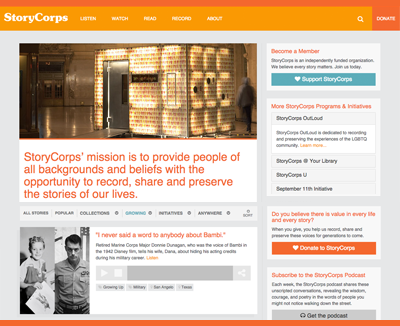 Students also can record their own stories and interviews, adding their unique perspectives to the historical record. 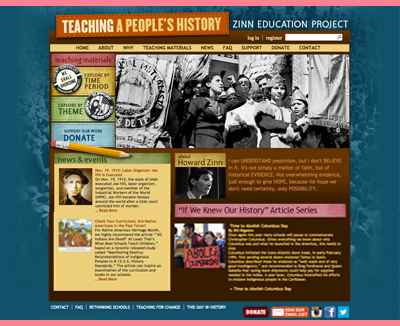 Resources and lessons based on Howard Zinn's well-known book, A People's History of the United States, help teach a more inclusive version of U.S. history. Themed collections include immigration, slavery, women's history, Native Americans, Latino history, Asian-Americans, LGBTQ people, and more.